Nu Skin AgeLOC Future Serum Review 2018: Ingredients, Side Effects, Detailed Review And More. What is AgeLOC Future Serum? AgeLOC Future Serum is an anti-aging product that targets the age-related super markers (arSuperMarkers) that scientists at Nu Skin have been able to identify. arSuperMarkers provide an idea of what causes skin to age. 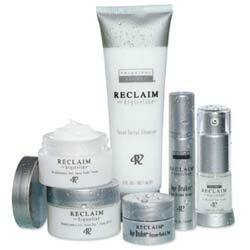 Correct the sources of aging to enhance the youthfulness of your skin. Improve your skin’s texture and tone to promote a younger-looking skin. Enhance your skin’s natural glow to give you a more radiant complexion. Raise the moisture content of your skin. Lighten dark marks and your skin tone. AgeLOC Future Serum – Does it Really Work? This product works by specifically targeting the multiple root causes of skin aging through Nu Skin’s AgeLOC Technology. Using a proprietary complex, this product’s formula inhibits the production of enzymes that cause visible signs of skin aging to appear. Other ingredients deliver moisturizing and conditioning functions, as well as improve skin tone. ageLOC: A proprietary Nu Skin Technology that zeros in on arSuperMarkers identified by the company to address the root causes of skin aging. Equol: This proprietary complex has been shown to improve skin structure and enhance skin cell renewal. Pea Extract, Bamboo Extract, Glucosamine: These ingredients aid in restoring your skin’s moisture content, as well as in enhancing the strength and resilience of your skin to damage. Lightening Complex: Ingredients in this complex target the root causes of hyper pigmentation to lighten dark marks and to improve your overall skin tone. This product must be applied after a fresh cleanse. Take 2 pumps and spread evenly on skin. Allow the product to sink in and become fully absorbed by your skin before layering with your moisturizers and other face creams. Use twice daily in the morning and at night for vest results. Use product on neck and chest areas, if desired. The formula targets arSuperMarkers to stop and reverse visible signs of skin aging. This product is formulated with a skin lightening complex that gives you a fairer complexion. This product is water-based and oil-free. The product is packaged in an airtight and opaque bottle which protects the contents from breaking down. This product, which comes in a 1 fl. oz. packaging, is very expensive. Most of what is in this product is not really unique to this serum but, can be found in many other skincare products from a wide variety of brands. The manufacturer fails to explain exactly what proprietary complexes are made up of and what these do to help treat aging and mature skin. This product may have limited availability and possibly not available in many locations. Although the manufacturer provides a perception study that shows user perception of product performance, there are no results of clinical trials that have been reported to demonstrate results. Does AgeLOC Future Serum Have Any Side-Effects? The manufacturer does not report on any potential side effect. However, in the event that you see signs and symptoms of irritation, immediately discontinue product use. AgeLOC Future Serum is an anti-aging product that certainly invests on patenting its ingredients. “Patent” and “proprietary” ingredients, however, do not automatically equate to product efficacy. 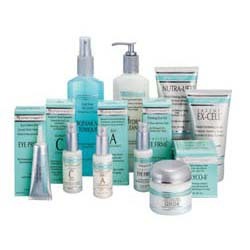 Besides, product results greatly depend on how well your products complement your skin’s needs. Make sure you understand what you can obtain from this rather expensive serum and check out other product options before you buy. What is the Price of AgeLOC Future Serum? One 1 oz. bottle of this product costs over $200. Where to buy AgeLOC Future Serum? This product may be bought from the official brand website, as well as from major reseller sites. Does the AgeLOC Future Serum come with money back guarantee? No, there is no information on such coverage. Is AgeLOC Future Serum approved by the FDA? Products like this are not required to obtain FDA review and approval. Who Should Use AgeLOC Future Serum? 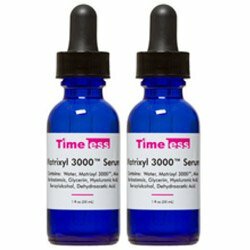 This product is primarily intended for women, 30 years and over although, younger adults, women and men alike, may benefit from this serum as well, most especially in reversing premature signs of skin aging. Should I use the AgeLOC Future Serum once or twice daily? For best results, use this product day and night. How long does one bottle of AgeLOC Future Serum last? One bottle will typically last you for 30 days. How long will results last? Results are only achievable and remain when you keep using this product. Can I use the AgeLOC Future Serum with makeup? Yes, and since this product is water-based, it sits well under makeup.